The Best Supporting Puppy Oscar for 2014 goes to John Wick's adorable beagle. Really, every other award is rendered irrelevant. 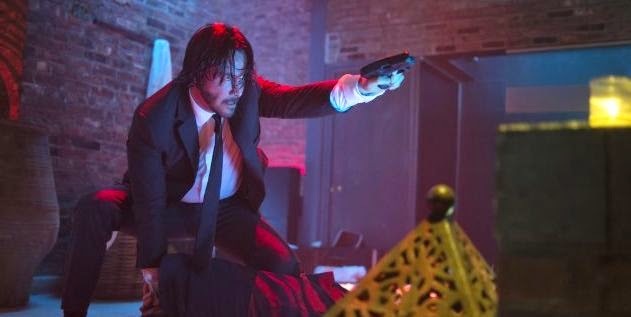 In John Wick, a darker, angrier Keanu Reeves returns to his Matrix action form as the titular character, a retired, recently widowed Russian bratva assassin. His late wife (Bridget Moynahan) gifts John Wick the most incredible little beagle, shining a light in John Wick's mourning heart. Then the spoiled, idiot son (Alfie Allen from Game of Thrones) of his former boss (Michael Nyquist) tries to steal his car and kills his beloved dog, setting off a chain of bloody, ultra violent events as John Wick goes on the warpath. Until John Wick unfolds, you never even knew you wanted to see a vengeful Neo go all out to hunt down and murder Theon Greyjoy. Ramsay Snow would reek of envy. When John Wick declares war on his former bratva, the movie plunges us into a the shadow world of Russian organized crime in New York City. We move through the places we never knew existed, such as the hotel run by Ian McShane and concierge Lance Reddick from The Wire, which has particularly strict rules about no "business" conducted on its premises. There's also the gloriously decadent nightclub with underground neon pools that John Wick shoots up while trying to shoot up Allen. Meanwhile, Nyquist puts a bounty on John Wick's head, with fellow professionals Willem DaFoe and Adrianne Palicki coming to collect, guns blazing. The slew of terrific actors keep coming; John Leguizamo, Clarke Peters also from The Wire, and even WWE's Kevin Nash pop in to help or hinder John Wick respectively. Through it all, Keanu hits action highs he hasn't achieved in fifteen years, ripping apart the Russian mafia in a brazenly entertaining ballet of gunfire, car chases, and righteous fury. Don't ever, ever harm John Wick's dog is the moral of the story. The Russians learned this lesson the hard way, as the audience watching John Wick giddily go, "Whoa!" Marvel announced on Friday that the upcoming Secret Wars mega event will spell the end of The Avengers. Earth's Mightest Heroes will be replaced by a new super team of Earth's Mightiest Heroines - say hello to the all-female A-Force. And it's a huge team, over a dozen superheroines from She-Hulk to Dazzler to Captain Marvel to Black Widow to Spider-Gwen. And it's X-Men inclusive. 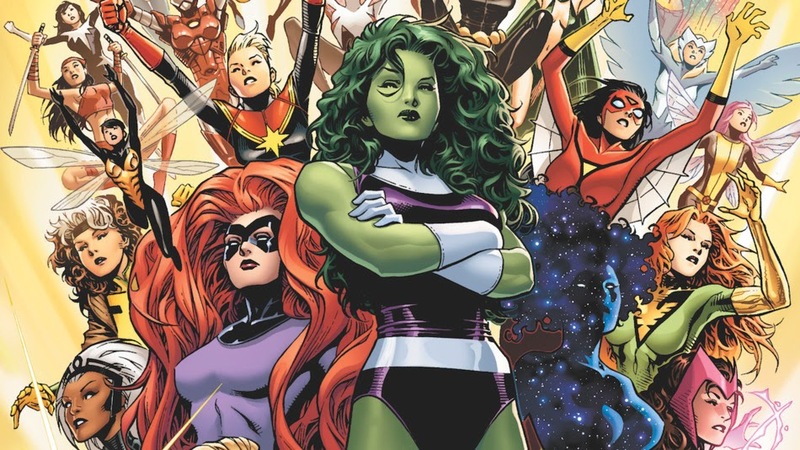 Today, Marvel's Bill Rosemann tweeted his A-Force dream team. I responded with mine. 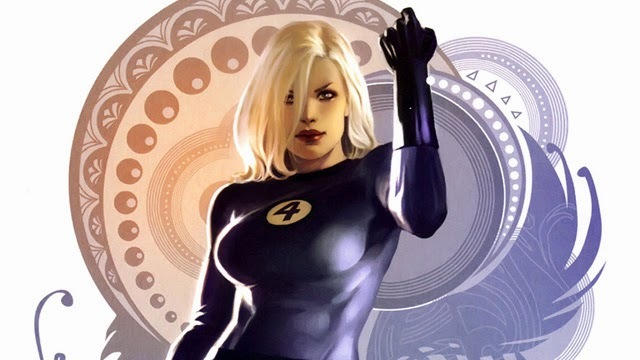 Susan Storm, the Invisible Woman, would lead my A-Force. As a founder of the Fantastic Four, who has more experience fighting villains and saving the world? Sue Storm gets an A for Experience. Plus, as a mother of two (who is still remarkably youthful and hot), she has the instincts to manage the varied personalities of this A-Force. Originally, I considered Storm but who needs the weather witch when you have the Goddess of Thunder? 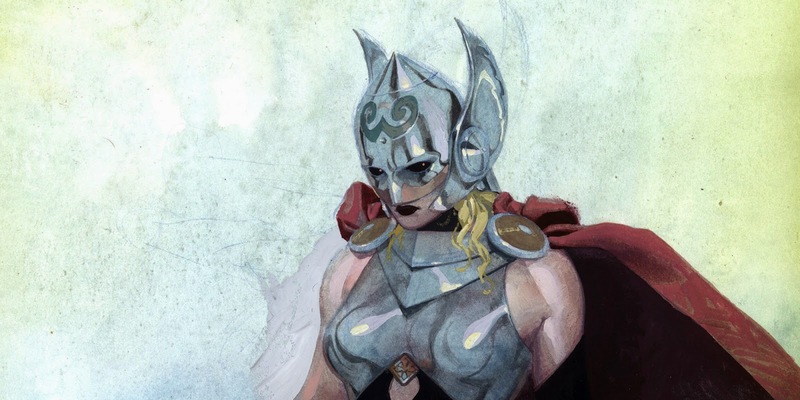 The mysterious new Thor is a bit of a wildcard, but she brings power, power, and more power to A-Force. The hammer Mjolnir judges her worthy, who am I to argue? The X-Men are abundant with telepaths to choose from. Originally, I considered Jean Grey, but maybe it's better not to have a woman who might possibly become Dark Phoenix and murder us all on the team. 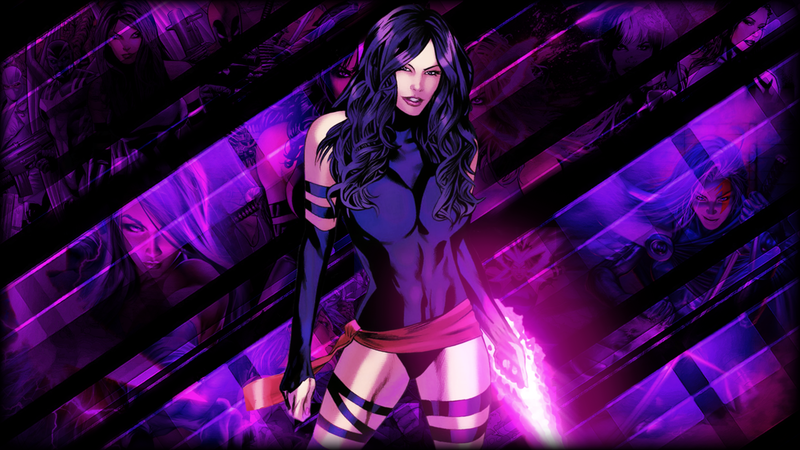 No, instead, I'm opting for Psylocke, the X-Men's deadly telepath/ninja, and her famed Psychic Knife, the focused totality of her telepathic powers. A great Marvel team needs a Spider. I pick Spider-Gwen. 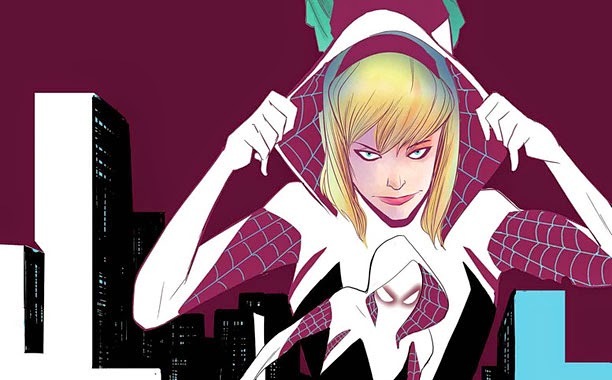 The coolest new heroine in the Marvel Universe is the alternate universe Gwen Stacy, who is not only not dead from being thrown off a bridge by Green Goblin, but was the one bitten by a radioactive spider instead of her universe's Peter Parker. Spider-Gwen does whatever a Spider-Man can. A Marvel team also needs someone of the Marvel mantle. 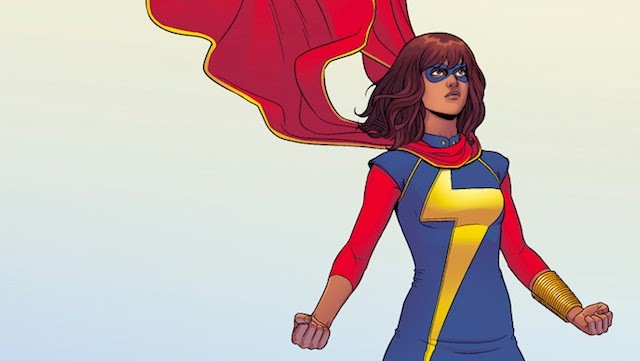 I pick Ms. Marvel. My team needs someone who can do what needs to be done, someone with a lot of red on her ledger. Probably the most dangerous woman in the Marvel Universe, Natasha Romanov brings all kinds of skills and intangibles, plus a connection to SHIELD that will come in handy when A-Force needs some back up in the form of Helicarriers. The team also needs muscle, a tank. A hot Southern mutant tank. Rogue, sugah. 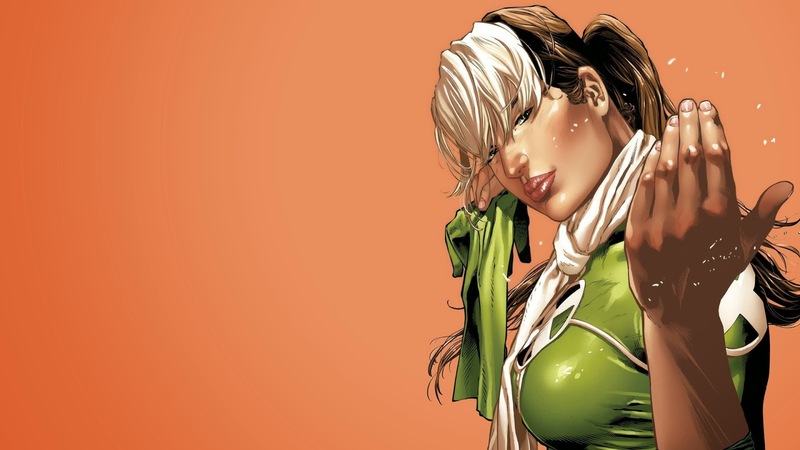 Rogue has been one of the most powerful of the X-Men for decades. She's been through the wringer multiple times, has been an Uncanny Avenger, and she's still an idealist who believes in Charles Xavier's dream. Rogue could toss a tank at you, or a simple touch could drain you of your life force. Plus she can fly. Rogue dated Gambit, but she's aces. And finally, my A-Force needs brains. Who better than Kitty Pryde? An X-Man since she was 13 and recently the former headmistress of the Jean Grey School, Kitty Pryde grew up saving the world. With her phasing power, she bests even Invisible Woman as an infiltrator. And she's a genius. Plus, now she dates Star-Lord, so the Guardians of the Galaxy will come running if need be. That's my A-Force, if I had anything to say about it. What's yours?